Shraddha Kapoor's Haseena - The Queen of Mumbai to clash with another Haseena at BO! 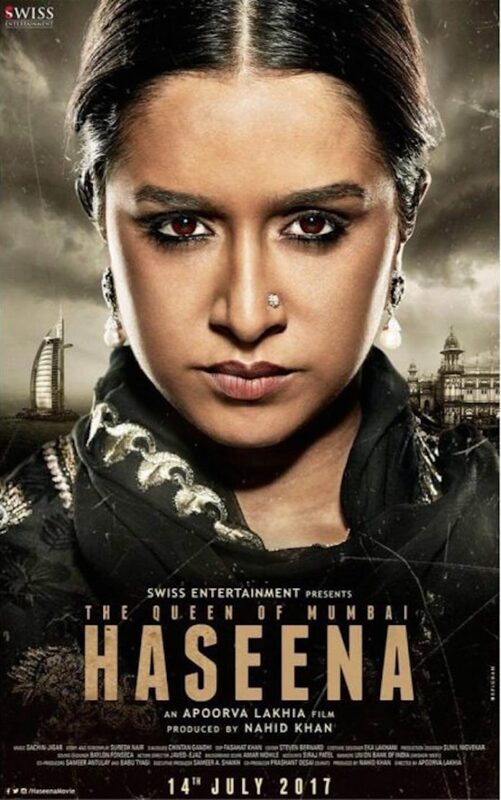 Shraddha Kapoor’s Haseena – The Queen of Mumbai to clash with another Haseena at BO! Shraddha Kapoor’s Haseena is set to release amidst some fierce competition in the box office on July 14, 2017. Besides clashing Saif Ali Khan’s Chef, it will also be clashing with another film titled Haseena, releasing on the same day. While Shraddha’s bold new look in director Apoorvia Lakhia’s Haseena (The Queen of Mumbai) is eagerly anticipated, director of Haseena (Queen of Hearts), Vicky Ranawat is not pleased with the situation. The storylines of the two films bear no resemblance to each other, despite the clear similarity of their titles. Ranawat’s feelings aside, there is good reason to look forward to Shraddha Kapoor’s Haseena – The Queen of Mumbai, which will feature the actress in a more serious and intense role for the first time. A biographical crime drama based on terrorist Dawood Ibrahim’s sister Haseena Parkar, it is also the first time Shraddha will be playing the title role in a film. Her brother Siddhanth Kapoor plays the role of Dawood Ibrahim, and Ankur Bhatia plays Haseena’s husband. She will also be seen in a more familiar romantic setting soon, opposite Arjun Kapoor in Half Girlfriend, which releases on May 19th.